shall mean the “Louisiana Claims Association”. d) to encourage through cooperation of its members, such administration of insurance claims as will result in a prompt and professional resolution of meritorious claims. Section 2: Affiliation. This Association may, subject to the approval of the majority of its members registered at the annual meeting, be affiliated with a Regional or National Claim Association provided such Regional or National Association qualified as a professional society within the framework of this Association’s purpose and these Bylaws. a) The Association may not become affiliated with any other organization, society, or association that does not offer membership to all who qualify, whether staff, independent, management, owners, or corporate officers of insurance companies, or owners of claim firms, and in all cases such affiliation must have standards equal to or higher than those set by this Association. b) An organization may become an affiliate Chapter Association upon requesting such status and being approved by majority vote of the Board of Directors. A minimum of five members are required prior to seeking chapter affiliation. c) For the purpose of selecting Board members, the state shall be divided into Chapter Associations to number no less than three (3) and no more than ten (10). 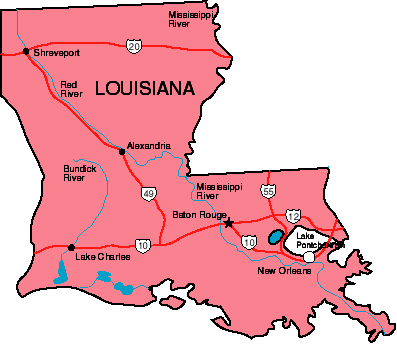 d) The original Chapter Associations shall be Baton Rouge Claims Association, Central Louisiana Claims Association, Lake Charles Claims Association, New Orleans Claims Association, Northwest Louisiana Claims Association, and Southwest Louisiana Claims Association. Subsequent chapters shall be subject to approval of the Board of Directors. Section 3: Operation. The Association shall never be operated for the primary purpose of carrying on a trade or business for profit. Section 4: Proscribed Activities. At no time shall the Association knowingly engage in any activities that are unlawful under the laws of the United States of America or of any jurisdiction where its activities are conducted, or violate, whenever or wherever applicable to any activity of the Association, any code of professional responsibility adopted by the State of Louisiana and/or the Louisiana Department of Insurance. Section 5: Compensation Prohibited. No compensation, loan, or other payment shall be paid to any officer, director, or member of the Association except for board authorized expenditures incurred on behalf of the Association; and no part of the assets or earnings, current or accumulated, of the Association shall be distributed to, or divided among, such persons, or inure, be used for, or accrue to or benefit any such person, except as provided elsewhere herein. Section 6. Indemnity. The Association hereby agrees to hold harmless and indemnify the Officers and Board of Directors or any other such person authorizes to conduct business on behalf of this association to the fullest extent authorized or permitted by the provisions of the Bylaws of the Association, as the same may be amended from time to time (but, only to the extent that such amendment permits the Association to provide broader indemnification rights than the Bylaws permitted prior to adoption of such amendment). Section 7. Interpretation of Bylaws. In the event of any dispute as to the meaning of any provision of these Bylaws, the Board of Directors shall determine the meaning by a simple majority vote. Section 8. Open Debate. Any vote of the Board of Directors may be overturned by the general membership upon a 2/3 majority vote of the general members physically present at a general meeting after a member has moved for such a vote, the motion has been seconded, and there has been debate on the motion. Section 1: Board Authority. The Board of Directors of this Association shall be the authority for setting and evaluating the qualifications for membership, eligibility in this Association, as well as the continuing eligibility qualifications of individual members. a) Active Member. Any individual principally engaged in or retired from activities that assist or promote the handling of claims or who provide services in support of the handling of claims in the insurance industry. b) Lifetime Member. Lifetime members shall consist of meritorious members in good standing as determined by the Board of Directors. Lifetime Members shall not be required to pay annual dues, but will be required to pay the membership cost for attending Association functions. c) Honorary Member. Any person who has distinguished one’s self through service to this Association may be appointed by the President and approved by the Board of Directors. Honorary Members will not be required to pay annual dues and will not have voting privileges. d) Student Member. Any person currently enrolled as a full time student at a college or university in Louisiana. Student Members will be required to pay a reduced dues rate, as set by the Board of Directors. Student Members will not have voting rights. Section 3: Application. In order to become a member of the Association, an individual must obtain and complete an application for membership for the current year and submit this application along with payment of the current year’s dues, to the Association Secretary. Section 4: Process. Upon receipt of the application for membership, the Secretary shall immediately forward payment to the Association Treasurer and send a copy of the completed application to the Membership Committee Chairperson. Section 5: Approval. If the Membership Committee Chairperson determines that the proposed member meets the eligibility requirements of the Association, the membership Committee Chairperson shall approve the Application. Section 6: Review. If the Membership Committee Chairperson believes that the applicant is or may not be eligible, the Membership Committee Chairperson shall convene a meeting of the Membership Committee to investigate the prospective member’s eligibility further. Should the Membership Committee determine that the prospective member is ineligible for membership, the Membership Committee shall refer the matter to the Board of Directors of the Association. The Board of Directors of the Association shall decide upon a vote of simple majority of the Board of Directors present at the Board of Directors meeting whether to accept or reject the applicant’s membership. Section 7: Inaction. Any application for membership not acted upon within sixty (60) days or receipt by the Membership Committee or the Board of Directors shall be automatically approved, provided that any check for membership dues is honored by the prospective member’s financial institution. Section 8: Transferability. Membership in the Association shall not be transferable from one individual to another. No individual may assume the membership of another member. If a member changes employment or address, the member will continue to be a member of the Association, so long as he or she notifies the Association of any change of employment and/or address within sixty (60) days of the change of employment or address. Section 1: Attendance. All members are expected to attend the regular meetings, take part in discussions and to serve on committees when appointed. Any dues paying member in good standing shall be eligible to participate fully in all aspects of the Association, except as otherwise stated in these Bylaws. Section 2: Voting. No member may vote unless present. Only active and Lifetime members have the right to vote. Section 3: Proscribed Activities. Acceptance of membership carries with it the agreement to keep everything of a confidential nature discussed at meetings of the Association or the Committees in strict confidence unless when otherwise agreed. Further, that special knowledge gained through membership in this Association shall not be used against the interest of an individual member nor any company having a duly accredited representative in the Association. Section 4: Continuation of Eligibility for Membership. Each member shall, as a condition of his or her membership renewal, annually certify his or her continued compliance with the eligibility requirements set forth in Article III, Section 2. A member’s payment of dues without notifying the Association of the member’s change in practice, employment pursuits, or associations which casts doubt upon his or her eligibility for membership in the Association shall constitute a certification of the member’s continued compliance with the requisites for membership in the Association. Section 5: Duty to Report. Once admitted to membership, each member shall have a continuing duty to promptly report to the Secretary any change in the member’s practice, business pursuit, or association which would affect the member’s continued eligibility for membership. Section 1: Annual Dues. The amount of annual dues shall be applicable to all members of the Association and shall be set by the Board of Directors no later than October 15 in the year prior to the dues taking effect, such amounts to be effective on January 1 of the following year. Section 2: Payment. Both state and Chapter Affiliate dues shall be paid to this association. The Chapter Affiliate portion of the dues shall be forwarded to the appropriate chapter by the Treasurer of this association. Section 3: Fiscal Year. The fiscal year of this Association shall be the calendar year. Section 1: Board Members. The Board of Directors of the Association shall consist of two (2) representatives from each Chapter Association to be elected for two year terms in alternating years. No Board member shall serve more than two consecutive terms. Section 2: Board Meetings. The Board of Directors shall meet at least three times each year. A quorum of the Board shall be a majority of all Board members. An affirmative vote of at least one-third of all Board members shall be required to take any action. Section 3: Annual Meeting. The Annual Meeting of this Association shall be held at such time and place as may be selected by the president. Newly elected officers and directors shall take office at the close of the Annual Meeting. Fifteen (15) members shall constitute a quorum of the membership at any Annual or Special Meeting of the Association. A majority of the members present and voting shall be necessary for the adoption of any matter voted upon at each meeting. No member may vote by proxy at any meeting of the membership. Section 4: Election of Board Members. The election of Board Members shall be the responsibility of each Association Chapter with elections taking place no less than thirty (30) days prior to the Association Annual Meeting with Board Member election results certified in writing to the Association Secretary by each Association Chapter President. Section 5: Power of the Board. All powers not enumerated in these bylaws shall rest with the Board of Directors. Section 1: Officer Positions. The Officers of this Association shall be President, Vice-President, Secretary, Treasurer and Parliamentarian. No two or more offices may be held by the same person. Section 2: Compensation Prohibited. Officers shall serve without compensation, but, by action of the Board of Directors, may be reimbursed for their actual and necessary expenses, incurred while engaged in the business of this Association. During the time that an officer serves as President, the officer shall be eligible to be reimbursed for travel and other expenses related to the performance of the officer’s duties in an amount to be fixed by the Board. Section 3: Election of Officers. The officers shall be elected by the Board of Directors from eligible board members. Section 4: Officer Eligibility. All officers, other than the President, must have completed one year of service on the Board of Directors prior to election. The President of the Association shall have held an officer position for at least one term prior to being nominated for President, and shall be a resident of the state of Louisiana. of a tie vote among the Board of Directors , the President shall cast the deciding vote. The President shall act as the Association’s official spokesperson. b) Vice-President. The Vice-President shall perform such duties as may be placed upon him or her by the President or the Board of Directors, and shall perform the duties and exercise the power of the President, in the event that the President is absent or disabled or refuses to perform the duties of that office. The Vice-president shall serve as the Annual Meeting Committee Chairperson. Directors. The Secretary shall perform all duties ordinarily required of, or customarily performed by, a Secretary, and such other duties as the President, the Board of Directors or these Bylaws may direct. of the President and Board of Directors, the Treasurer shall surrender his or her books of account for examination by the president or the Board or for auditing by an auditor selected by the Board. e) Parliamentarian. The Parliamentarian shall assist and support the President in maintaining order and adhering to time schedules as approved by the Board or membership. The Parliamentarian shall chair the Ethics Committee and perform any other duties and responsibilities assigned by the President and/or the Board of Directors. Section 6. Executive Director. The Board may, at its discretion, engage the services of an Executive Director, fix his, her or its compensation, and direct the performance of his, her or its duties. The Board may direct that the Executive Director perform any of the duties of any officer of the Association except those of the President. Section 7: Vacancy. Should any officer position become vacant due to death, resignation or otherwise, this position shall be filled by the Board of Directors from eligible candidates. Such appointed officer shall serve until the next regular installation of officers. Section 8: President’s Council. The President’s Council shall consist of all past presidents of this Association and shall be called upon for counsel, service, special meeting, or otherwise by the sitting President of the Association. Section 9: Special Committees. The President and/or the Board of Directors may appoint such special committees as deemed necessary. The duties shall be as designated by the President (or the Board, where the Committee is established by the Board) and their existence may be terminated by the President (or the Board, if established by that body). Section 10: Committee Membership. Membership on any committee shall be continued until a successor is appointed by the President. Section 1: Meetings. Meetings of the Association shall be held at such time and place as may be determined by the Board of Directors. Special Meetings of this Association shall be held subject to the call of the President or the Board of Directors. Section 2: Board Meetings, Annual Meetings and Special Meetings shall be governed by Article VI, Section 2 and 3. Section 3: Notification. Notification of any regular or special meeting of the Association shall be sent in writing within 15 days. Such notification shall be sufficient if mailed, faxed or electronically sent to the last known address, fax number or contact information of the member, as the same shall appear upon the roll of the roster of membership. Committee. Any conflict in procedure or Order of Business shall be resolved by the current edition of Roberts Rules of Order. Section 1. By Resolution, the Board of Directors may recommend that the Association be dissolved as a corporation, and direct that the question of such dissolution be submitted to a vote at a duly constituted regular or special meeting of the membership, at which a quorum is present. Section 2. Notice stating the purpose of such meeting is to consider the advisability of dissolving the corporation, shall be delivered to each member entitled to vote in the affairs of the Association within the time and manner provided in the by-laws for notice of meetings. Section 4. Upon dissolution of the corporation, assets shall be distributed on a pro rata basis to each affiliated Chapter. affairs except in so far as may be necessary to comply with State statutes.